Photograph of a lost picture. 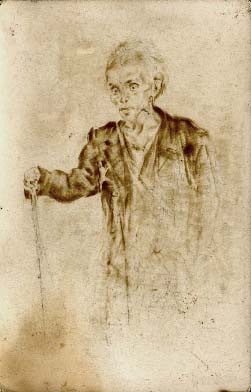 On reverse: “rysunek z getta ‘głodny’” (“drawing from the ghetto ‘hunger’”). Yad Vashem Photo Archives. Signature 7950/33. Gift of Tobias Rozynès, Lyon, via Gérard Mayer.